Would you like to spend less money up-front, drive away from the dealership in a brand-new car, and spend less time and money on vehicle maintenance? Consider leasing your next car. Leasing a car is a lot like renting one—but for a much longer period of time. When you buy a car, you own it after you’ve made all your monthly payments. When you lease a car, you make monthly payments, drive it for a set amount of time (usually about three years), and then give it back to the dealer when that time is up. Then you get to decide what you want to do next with no strings attached—do you want to lease again or buy a car this time? While leasing isn’t the perfect solution for everyone, it is absolutely worth considering. Here are seven reasons leasing a car might be the better option for you. If you’re the kind of person who likes driving a new car, leasing your vehicle may be a better option than buying one. Cars depreciate quickly, so if you buy a new car, you’ll probably owe more than it’s worth not long after you make the initial purchase. If you lease instead of buy, you can keep driving new cars indefinitely—just trade in your old lease for a new one every few years. That means you’ll have access to the latest features, like better navigation, back-up cameras, or music players. You could even lease an expensive car for an affordable monthly payment. Traditional car loans usually come with somewhat hefty down payments. But if you lease instead, you’ll likely have a lower down payment than you would with a normal loan. In fact, some dealers may not require a down payment at all. This means you pay much less up-front so you can put that extra money toward home repairs, a vacation, or paying down existing debt. 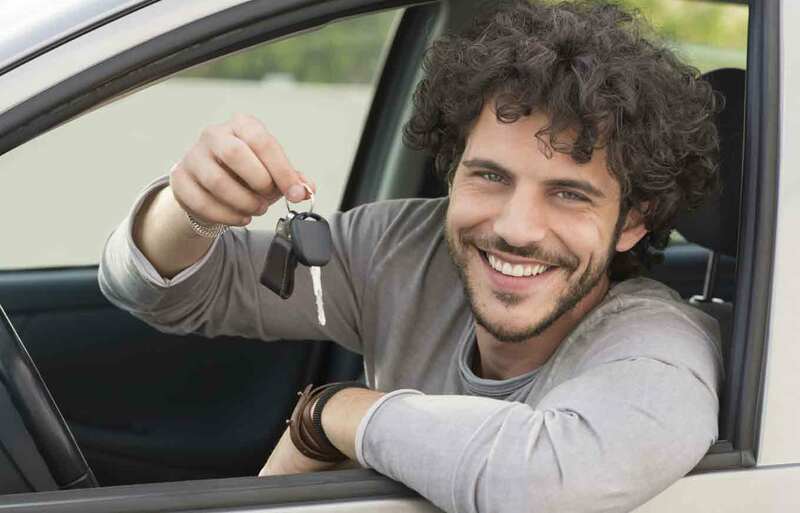 When you lease, you’ll probably drive a newer car, which can be safer and more reliable. The newest cars have the most recent safety features and are compliant with current safety regulations that older cars might not meet. Plus, since a newer car has less wear and tear, it’s less likely to break down and leave you stranded in an unsafe situation on the side of a fast highway or miles away from civilization. Usually, a newer car needs fewer repairs, but when issues do come up, repairs will often cost less if you lease your vehicle. Most of the time, the vehicle you’re leasing will still be covered by the manufacturer’s warranty, so you won’t have to foot the bill for expensive repairs. There’s a good chance that basic maintenance, like oil changes, will also be covered in your lease agreement or car warranty. When you lease a vehicle, you pay for the vehicle’s depreciation during the lease. When you buy, you’re paying taxes, fees, special finance charges, and the full price of the vehicle. This means that monthly lease payments are usually lower than loan payments. Selling a used car can be a hassle. With leasing, you skip it entirely. Instead, you drop the car off with the dealer when the lease is up. Then you’re free to lease a car again or purchase a new one without worrying about trade-in value or an ownership transfer. If you buy a car, you pay taxes all at once for the full value of the vehicle. When you lease, you pay taxes on your monthly payment and spread that cost out over time, so there’s a good chance you’ll pay less sales tax. There are lots of great perks about leasing instead of buying, but it isn’t the perfect solution for every person. If you decide to lease a car, there are a few things you should remember. Leasing isn’t the same as a normal car loan, but it is still a form of financing, so a dealer will check your credit to make sure you’re eligible for a lease. In fact, you might need a higher credit score to lease than you would need to buy. If you have a low credit score, you may pay a higher interest rate or be denied financing altogether. It is always wise to keep an eye on your credit report throughout the year to look for errors or other problems. For the best rates, make sure your credit is in good shape before you apply for financing. Leases come with mileage limitations. In most cases, that limitation will be somewhere between 10,000 and 12,000 miles per year. If you go over that limit, you pay extra fees for every extra mile—which can be costly. Before you sign up for a lease, think carefully about how much you drive each year. Your daily commute is probably the biggest thing to consider, but all those little trips to the grocery store can also add up. If you drive more than 10,000 miles in a year, you may want to pay for extra miles or buy a car instead. Leases require you to keep the vehicle in good condition. If you turn it in with stains, scratches, dents, or dings, you’ll have to pay extra charges. Should you lease a car, take extra good care of it. Car leases work a lot like other lease agreements. If you terminate your lease early, you may be subject to significant penalties and fees—just like you would be if you broke an apartment lease early. Lease agreements have strict rules, and if you violate the agreement, you’ll be fined. Modifications will likely violate the warranty or lease terms—even if they’re modifications that you consider upgrades, such as shiny new rims or a more powerful sound system. How much do you drive each year? If you love going on epic road trips, leasing may not be the best option, but if you just need a car to get to and from work and around town, a lease would work well. How much do you want to spend up-front? If you don’t have a large down payment saved up, you could get into a new car faster by leasing instead of buying. Is driving a new car important to you? If you’re okay driving the same car for the next 10 to 15 years, you should probably just buy one. However, if you want to consistently drive newer vehicles, leasing is one of the easiest ways to do that. Does vehicle maintenance frustrate you? Because leased cars are newer, they usually have fewer maintenance issues. And when those issues do come up, they’re often covered under the manufacturer’s warranty. If you don’t want to think too often about maintenance, leasing might be a good call. Do you have good credit? Sometimes, you need better credit to lease a car than to buy one. If you’re still working on repairing your credit, you may have to purchase a car instead of leasing one. Do you care more about short-term or long-term savings? Leasing is a great way to save on up-front costs. It also usually results in smaller monthly payments, which makes leasing a perfect option if you want to save money right now. However, in the long run, leasing may cost more than buying since you don’t own any property at the end of your lease. When deciding whether leasing or buying a car is better for you, carefully consider all the various factors. It’s important to take your own needs and preferences into account to determine which is the most reasonable solution. Use the tips above and research local leasing options to ensure you pick the best one. Even though I keep cars for decades and work on them myself, I’ve just wondered how Honda can lease a CRV for $259 per month no money down 39 month least 12,000 miles per year. Might be a good way to go for some as an alternative, payments would be a lot more for that vehicle new. I drive too many miles and I keep my cars so they have been paid off for a long time. The lowest leasing cost is about $3000 per year, considering the down payment and extra costs for special oil change and qualified insurance, etc. Does your old car have this much of a cost? I own a couple of 15+ years old Japanese cars and they hardly cost me $400 each per year for repairs. P.S. They don’t have the new tech. features that I desire of course.